repentance | Musings from under the bus. Pastors who give Mark Driscoll a platform are adding to the abuse of those of us who were abusively treated by Mars Hill Church. Dan Kellogg, from Gold Creek Community Church, said that he had done his homework on Driscoll before he invited him to speak at his church recently. I am not sure what homework he did, but Dan Kellogg contacted none of the abused ex-members or pastors. 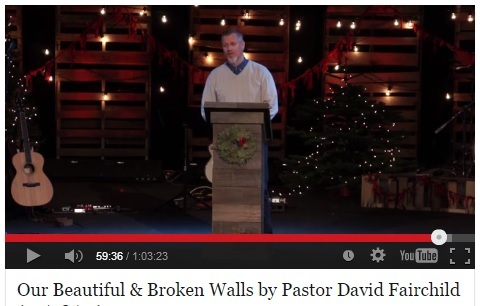 Driscoll spoke of how he is learning to forgive those who hurt him. He did not speak of the hundreds of families hurt by his abuse. Robert Morris, who gave Driscoll his first public appearance where Driscoll skillfully made the audience feel sorry for him, said that he knows the “behind the scenes story“, yet failed to speak to any of his accusers or those shunned by Driscoll’s abusive church. Ray Johnston, of Bayside Church, gave Driscoll a platform where he was able to again repeat the lie that he moved from one house to another because of fear – the second to the last move being simply across the street from his previous home. Now we see Driscoll about to be hosted by John and Debbie Lindell from James River Church. 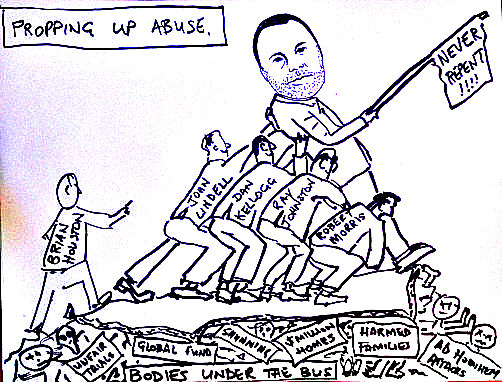 The church was informed that Mark Driscoll would be preaching this Sunday as if the collapse of the most abusive church in recent history had not occurred. Brian Houston of Hillsong also is giving Mark Driscoll a platform. He plans to interview both Mark and Grace Driscoll to “learn from their mistakes.” Never mind that Driscoll has yet to confess his sins to hundreds of members that he abused, including Paul Petry and Bent Meyer. Sadly, these men are simply adding to the abuse that so many Mars Hill members endured. I am sure they mean well. But every time Mark Driscoll is given a platform while he is still non-repentant and not reconciled, these church leaders are acting without any regard to the reality that Mark Driscoll resigned without repentance and left a trail of brokenness in his path. Mark Driscoll boasted that before he was done, he would leave a “mountain” of dead bodies behind his Mars Hill bus. He made good on that boast and has never repented or shown the least bit of contrition or remorse – at least not to those who were ruthlessly dealt with by him. Most of us ex-members would delight to see true repentance from Mark Driscoll. This would surely begin by joining the vast majority of the elders who have repented of their ruthless treatment of Paul Petry and Bent Meyer in 2007. They have repented from subjecting Paul Petry and his family to an unfair trial and public shunning. That shunning was never lifted, and none of the leaders of the Mars Hill Church-spawned church “plants” have repudiated such horrendous treatment of the beloved former elders. I implore pastors who are keen to see Mark Driscoll return to the ministry. Until he deals with his abusive past, you are simply propping up an abusive man, and in so doing you add to the abuse. Otherwise those that give him a voice are pretending that there are no bodies under the Mars Hill bus and risk harming already bruised and shattered people. Sermons from Nehemiah, and one worth listening to! In the last sermon at Mars Hill Church–West Seattle, which has now been renamed “Trinity West Seattle” and is off to a new start, Pastor David Fairchild preached from the book of Nehemiah. The sermon is worth listening to. It was seven years ago that Mark Driscoll preached from the book of Nehemiah. When he began the series of sermons in 2007, the church was governed by a plurality of elders. On September 30, 2007, Driscoll preached the notorious “I break their noses” sermon, then walked off the podium and within minutes fired Paul Petry and Bent Meyer. Within a month, the remaining 22 elders gave up their fiduciary duties as overseers and voted in bylaws that neutered themselves. It was at that time that the walls began to crumble. The clear contrast between Fairchild’s sermon this last Sunday and Driscoll’s sermon seven years ago, was that unlike Driscoll, who presented himself as Nehemiah, Fairchild does not weave his own image into the story, except for seeking out ways that he and his fellow elders could see their own sin of complicity, and having done so, repent. He promised his members more of this. This is very encouraging. There are parallels in the story that might be of note. Complicity means that it was not the exiles that brought the walls down, but the very elders themselves. As readers have noted in my writings (to some of their frustrations) I hold the elders responsible for the abusive side of Mars Hill Church more than I hold Mark Driscoll responsible. The elders willingly gave him what he wanted. It was the exiles that, in coming back to Jerusalem, brought hope and effective rebuilding back to Jerusalem. Could it be that there are many “Jeremiahs” that God will use to rebuild the broken church, and they have last names like Petry, Meyer, Krombein, Smidt, Kraft, or Bettger, to suggest just a few? 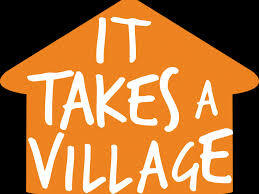 The city that needed rebuilding housed a few remaining and broken Israelites. The vast majority had been scattered as a result of the exile. 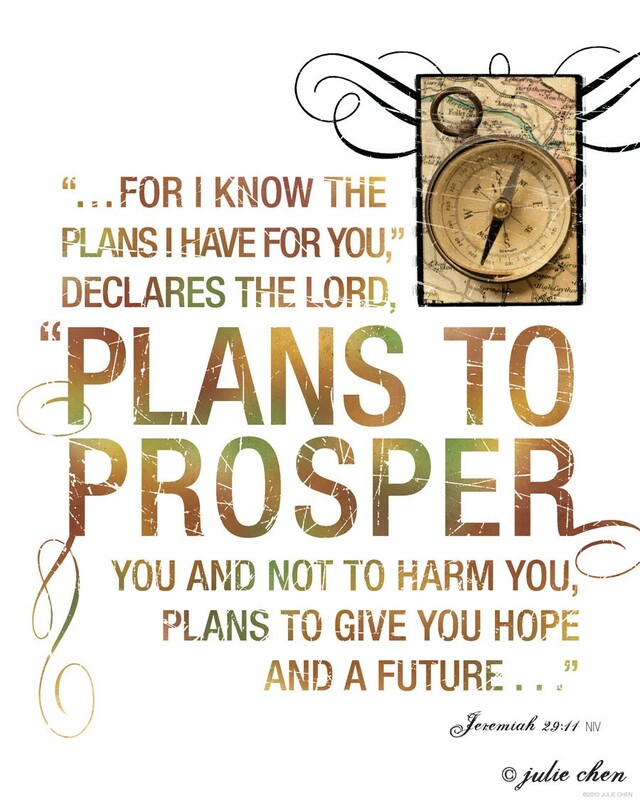 When God warned Israel of the coming destruction he called Nebuchadnezzar his “servant.” It was God’s plan to scatter Israel, and then rebuild Jerusalem with the hands of both exiled Jews as well as those that never left Jerusalem. What rejoicing there will be when the 11 churches that represent the broken walls of Mars Hill Church, will welcome with joyful arms those who have been shunned, and those who have been calling for the abuse – which crumbled the walls in the first place – to be addressed. So, dear reader, pray for the rebuilding of Trinity West Seattle, and for the leaders of the other 10 churches that now exist. Pray that they call for and welcome the exiles that could help them rebuild. Psalm 51 and the recent confessions of Mars Hill Elders. Since everything has come crashing down, we are and will continue to see repentance coming from men who should have confessed and repented of their sin and failure of leadership at Mars Hill Church years ago. The reactions to these confessions and acts of repentance range from anger, skepticism and disappointment, to accolade and great rejoicing. This brings us to Psalm 51. This psalm is by far the most recognized statement of repentance in history. It is an amazing example of how to deal with sin. It would do us good to review the raw facts leading up to King David’s repentance. David becomes the kind of leader that no longer goes into the battle with his men. He is the King, and he delegates his leadership to others. He sees Bathsheba bathing, and uses his position as King to violate her. She was a young woman, he was the king. She becomes pregnant, and he calls for Uriah, her husband, to return from the battlefield so that he can sleep with Uriah’s wife and keep the adultery hidden. When Uriah acts like a true soldier, and refuses to leave his men, David plotted and carried out his murder. David marries Bathsheba, and prepares for the birth of a son. David’s sin was calculated and tactical. He was not coerced or surrounded by peer pressure. He was not a young man, but a mature man who loved God and desired and experienced a profound walk with God. Yet his repentance did not come until Nathan risked his life by confronting the King and calling for his repentance. Psalm 51 was the result. But his cry was sincere and pleasing to God. So as I read recent confessions from the elders, I accept the words as from men who have been convicted by the crushing circumstances around them, and I will accept them at face value. As the reality of David’s sin came into view, he was crushed with the consequence of his sin. The depth of the tragedy of the loss of Uriah, a good man. The crushing loss of his son. I am sure the pain of that never left King David. The negative consequences of his sin are legion. But his confession was real. I am sure David had to make matters right and repent and offer restitution to the family of Uriah. Psalm 51 was not his wording to that grieving family, nor was this how he faced his own family. So I trust we will see more from the Mars Hill elders as well. Having spoken to them personally, I am sure of such coming over the days ahead. But I do accept their confessions, past and present, and I encouraged all to do so. They are being expressed as the reality of their sin against Paul Petry and Bent Meyer, and the tragic consequences of the sin of those 22 elders are beginning to be seen and understood. I will also pray for these men, and pledge to help them in their walk of repentance. There is newness of life in true repentance and I long for such in the lives of every repentant man. You don’t seem to understand repentance. 1. Repentance is not “I’m sorry that some of the things I said led people to attack me and that now I have to eat crow.” Repentance is being sorry for your actions, not for those actions’ consequences that now come back to bite you. 2. Repentance is also specific: you don’t repent of “some of the things that I may have said or done”. If you maligned someone in a public setting (like Meyer and Petry), it could mean using the same setting and declaring: “In 2007, I said such and such. I now understand this was wrong. I retract those words and want to ask the people concerned for forgiveness. Also, we excommunicated this person and shunned that family. That was wrong.” It would also mean asking the victims for forgiveness – which they would be free to grant or not – by acknowledging the wrongness of your actions and their hurt in direct communication. 3. Forgiveness can only be asked for, but never demanded. It’s the essence of forgiveness that it can only be voluntary, not coerced. The victims don’t HAVE to forgive when you ask them for forgiveness, even if I am sure most would forgive if they had the impression that repentance was genuine. 4. You can never ask all the people you hurt for forgiveness – there are just too many of them, many have never spoken up in public, and in some cases maybe did not even realise at the time just how badly you were treating someone. But you can at least try to reach the people hurt the worst and most publicly in person. That would still be quite a number. 5. Repentance is hard work – six weeks just will not be enough time..
6. It’s also not about “vengeance”, about your enemies forcing you to step down. But if you are really sorry for what you DID, and not only for the fact that your actions have come back to haunt you, you may come to the conclusion that in the light of your past behaviour and actions stepping down remains the only alternative to continuing a highly damaged “career” and – let’s for now call it that – “ministry”. 7. In all of the present situation, I feel really sorry for your family, your wife and his kids. It’s no fun for kids to discover that their parent is not only not perfect, but a lot less than very good. 8. I feel a lot less sorry for you than for your family. As the saying goes, “If you can’t stand the heat, get out of the kitchen!””, and while you were under the illusion that you were the chef in that kitchen, you stoked the fire and turned up the heat quite a lot. Four offended men who have not heard from Mark Driscoll. 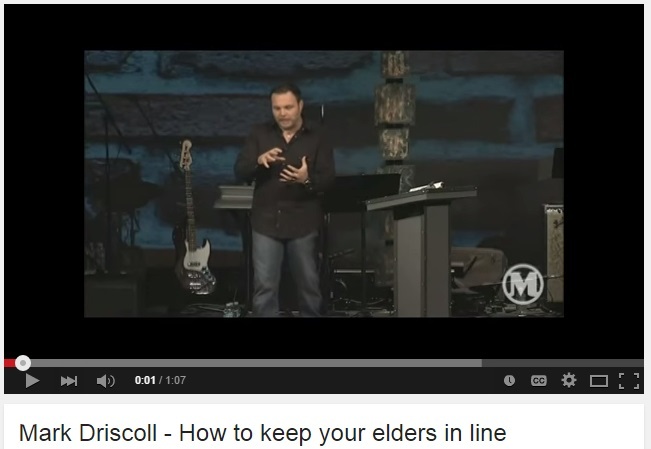 Mark Driscoll wants to forget the past. But, as this excellent blog post clearly details disqualifying sins against four men in the past, Mark Driscoll has made no attempt of any kind to reach out to the four men sinned against. Dr. E.S.Williams does an excellent job outlining the disqualifying behavior that has never been addressed by Mark Driscoll. Surely, in order to press forward, the past sins should be named and attempts to reconcile be hastily sought after. 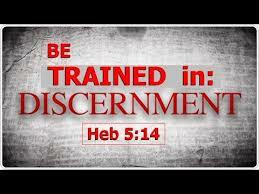 Here is a link to “A Dearth of Discernment”. During the announcement Mark was emotional, at points he seemed very close to tears. It is interesting to note that domestic abuse perpetrators who visibly show remorse change at about the same rate as those who don’t. In our wider context of power based masculinity, men crying, or being close to tears brings out a specific response for many. That act of vulnerability in a society that states the only appropriate emotions for men are humour and anger can change perceptions of an offender in an instant. I’m not for one minute suggesting they were “crocodile tears” but that we must be careful to not equate an emotionally remorseful delivery as a litmus test for repentance. Though there are 21 ex-leaders of the our church who are publically stating that I have behaved in horrendous ways and were either sacked or left due to their strong convictions, the current leaders are supportive of me. All those who have used public spaces to challenge me are wrong and dishonour God and only those who have come to me and the leadership of the church are right and honour God. I am going to use the term “offense they are carrying” so as to avoid saying that I had hurt people. The fact that when people tried to come to me I refused to listen, sacking them, threatening them and destroying their lives and livelihoods is of absolutely no relevance. God is not honoured by anyone who publically holds me to account. I am going to mention the first bit of Matthew 18 where Jesus tells us to approach other Christians who we have been hurt by, but I am going to conveniently ignore the bit Jesus says that’s someone who fails to listen should be treated like a non-believer. I am going to use the term “air their grievances” rather than talk about people being hurt. I am going to talk about truth, half-truths and lies without distinguishing between them so that I subtly cast aspersions on all that everyone has accused me of. I am going to talk about “the number of accusations” increasing which makes the issues external to me, rather than about my own choices and hurtful actions. I am going to reinforce my criticism of people holding me to account publically, but will use it neutral language like “public nature” to hide that. 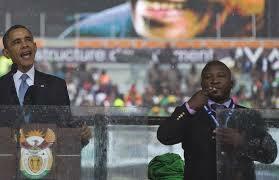 I am going to mention that we haven’t addressed the issues, acknowledge that is problematic but continue doing it. The first time that I start a sentence with “I am sorry” it is related to the impact on the church community which yet again reinforces to the audience that their feelings are validated, but the actual victims of my offences are not mentioned. I make my sorry focused on the mission of Mars Hill, reminding everyone that is the priority, not the reality of the people who have been hurt. I will then yet again criticise people who have publically challenged me and place myself as the victim by talking of myself as a “public figure”. This makes the situation more about my position than my choices and actions. That I have used media channels to criticise and attack is irrelevant, and I will suggest my detractors are “criticizing, attacking and slandering” without actually stating that is what those who challenge me are doing. After spending time being negative about my detractors I will now talk about my fault. Yet I won’t take responsibility for any of it, I will just accept partial fault, which essentially means the other people involved are also at fault. Essentially I am blaming everyone else while using the language of responsibility. I will talk of God redeeming me to remind everyone that God is okay with me, having previously inferred that others have dishonoured God by challenging me. I will use the term “avoid such conflict” which essentially distances me from fault and focuses the issues as conflict based rather than founded in power and abuse. I will talk about admitting I am wrong when what I have done previously is apologise but continue to do the same things over and over. I quote Philippians and use the word “forget”; this infers that forgetting is the option for the church community. That forgiveness and forgetting are not in any way related and that forgetting is impossible when we have been hurt badly is something I want to avoid people being aware of. I will not mention that one of the accusations against me relate to changing the bylaws of the church to make it very difficult for the church to hold me to account. I will talk of inviting the process even though it has taken enormous public pressure to essentially force me to take action. Book shops are withdrawing my books from sale, I am being removed from church networks and others and although there have been issues throughout my entire ministry, I have shut down all criticism to the point of changing church bylaws and sacking employees, yet I will state that this is a process that I have invited. I will again reinforce that challenging me publically is wrong. I mention that a report will be presented, but I haven’t mentioned who that report will be presented to, and I have called it a “report on the process” not inferring whether the outcomes will be made public. I will now categorically state that media channels are unproductive, destructive and dishonouring to God. That without these media channels I would be able to continue behaving in hurtful and damaging ways without any accountability or negative consequences. This places anyone who comments publically about what I have said as unproductive, destructive and dishonouring God. The hurt I have caused people should be compounded further by me attempting to silence and denigrate their attempts to heal. When it comes to our personal responses to our own sin, these are the only two options. When faced with confrontation or other natural consequences of your sin, you can mourn your sin in a way that leads you to confess to God, change your direction, and repair with those you have hurt. And that response allows you to get up and go forward without regret. I’ve never once in my life met someone who REGRETTED bringing their sin into the light, confessing it honestly, and repairing with those they had wronged. Godly sorrow producing repentance is beautiful. The indication for any one of us of godly verses worldly sorrow is summed up in one word – repentance. True repentance always starts with a specific naming of your sin, and it always includes a change in your ways. I love the definition of the Greek word for repent according to Strong – “to change one’s mind for better, heartily to amend with abhorrence of one’s past sins.” Godly sorrow that produces repentance will include statements along these lines – “I sinned against God and (name redacted). I have asked their forgiveness and am seeking to repair with them in the ways that I can. I am taking these steps to guard myself from doing the same in the future.” It always comes with a hearty desire to amend your ways with an abhorrence for how you sinned against God and others in the past. I am writing this post because it is of utmost importance that people (believing and unbelieving) hearing Jesus’ name understand the difference in worldly and godly sorrow. I am very grieved that Mars Hill Church uses the name of Jesus over and over in their materials (even linking to this latest video with the url jesus.to), yet the lead pastor models a worldly sorrow without repentance that Paul says leads to death. It is irresponsible (for those of us who know these things from first hand experience and are in a position to address them) to turn away as Jesus’ name is used in empty, cheap ways. Thankfully, in this area, many of God’s children are rising up to confront these things privately as well as publicly. This is good for the Church. Long before Pastor Mark released this week’s video, I wrote about godly versus worldly sorrow in The Gospel-Centered Woman. I felt that many women, myself included, often linger in this sorrowful place over our sin without understanding how repentance in the shadow of the cross heals and repairs. I’ll close with these thoughts from the book. Worldly sorrow is characterized by feelings of shame, pain, or embarrassment that you got caught in sin. Along with that shame, you may feel hopelessness over ever being cleansed from your sin or your ability to repair the relationship with the person you sinned against. Such worldly sorrow may be relieved by someone else doing something for you or you doing something for yourself. Maybe you seek out someone to affirm you or distract you. You may try to manipulate how others think of you and look to them to make you feel better about yourself. If one relationship is broken, you may manipulate other relationships to replace the one you harmed. In contrast, godly sorrow is sorrow that directs you to Christ. You do not need someone else to do something for you. You do not need to do something for yourself. Instead, you fall flat on your face before God alone, for godly sorrow points you directly to Him. Godly sorrow is relieved by repentance and faith in what Christ has already done for you. Then, resting in what God has done for you, you can lay down your attempts to justify yourself to others. You can simply ask their forgiveness and repair with those you have hurt. Many of us spend years of our lives mistaking worldly sorrow on a wide range of sin issues for authentic repentance and then wonder why we never change or why our relationships never heal. Feeling bad about what you have done is not the same as a godly sorrow that leads to repentance. God calls us to recognize our wrongdoing and need for forgiveness and then turn to God to forgive and correct it. We do not have to live in a perpetual state of regret and shame. Christ bore our shame and condemnation on the cross. His sacrifice for us equips us to face our sin head-on without fear that it will forever define us.